Andrea Levy joined Headline in 1994 with her debut Every Light in the House Burnin', and produced a million-selling bestseller for the company with Small Island (2004), winner of the Orange (now Women's) and Whitbread (now Costa) prizes and later adapted for television. Andrea Levy, whose death was announced on Friday cruelly close to the opening of the stage version of Small Island at the National Theatre, was a North London girl like myself, which is why - I think - I had an almost visceral response to the writing in her debut Every Light in the House Burnin'. Just that apostrophe set my antennae quivering. I knew the people in the book - surely everyone's parents had shouted, "You kids leave every light in the house burnin'"? It was my mother who confirmed this when I asked her to read the manuscript, which had proved hard to place. So much credit then to David Grossman, who had been the first to hear the voice, to see the certain grip on narrative, on character, the compassion, the fierce understanding of the human heart in childhood, and then recognition of what growing up reveals to us if we try hard and open up to that understanding. Every Light, as Andrea sometimes referred to it, moved me to tears. It is the perfect book: it points to Small Island and the journey we will go on to get to that masterpiece through Never Far From Nowhere and Fruit of the Lemon, and the uncompromising determination not to be rushed on that journey. I smile now thinking of the launch party at 9 Bridges Place for the publication of Fruit of the Lemon: someone whispered, "Let's get behind the bar and sing 'Lemon Tree' to Andrea" - and Andrea and Bill, laughing. That Cy Grant song seemed to be the leitmotiv of the novel. Incredibly, not long after publication I sat next to Cy on the Tube - I couldn't help blurting out the tale to him. In 1997, Andrea agreed to sit on the judging panel for the Orange Prize. She spoke of how this had been her great chance to read other writers intensely: as she famously said, she'd never really been much of a reader. You knew that this decision was the hallmark of a good writer determined to become a great writer. Credit is due to the late Kate Jones, then at Viking. Unable to take on Every Light - "Too short", "Not enough black people buy books" had been some of the reasons given elsehwere - Kate suggested to David that he send the novel to Headline, then setting up the Review imprint. Support came from writers in Ireland, who gave quotes for the hardback; from Marsha Hunt, who pointed to a great future and fame; from John Coldstream at the Daily Telegraph, who published the first review; to Jane Morpeth and all at Headline for slowly building her; to Peter Newsom, whose export whizzardry sent the unknown writer to Canada, New Zealand, the Netherlands; to independent-minded Waterstones managers such as Paul Baggaley and David McRedmond; to the Dartington Literary Festival; and to Head Design for their imaginative covers. Andrea has taught us so much: it is for us now to look at our own "Small Island". I imagine Queenie the landlady in Small Island - the book Andrea was born to write - telling us to get on and and "blimmin' well look at yourselves!". The song goes on. 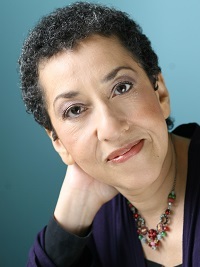 Headline is hugely saddened by the death of Andrea Levy, the hugely respected author of Small Island and The Long Song. She had been ill for some time. When Andrea Levy began to write fiction, living in London in her 30s where she enrolled on a CityLit Creative Writing course, she set out to tell the stories of black Britons like herself, but could find few role models in the UK. Her first publishing deal came in 1994, with Headline, when editor Geraldine Cooke acquired Every Light in the House Burnin' for the launch list of the Review imprint. This was followed by Never Far from Nowhere (1996) and Fruit of the Lemon (1999), all of which were widely praised. It was Andrea's novel of Windrush immigrants, Small Island (2004), which really put her on the literary map. It won the Orange Prize, the Whitbread Book of the Year, the Commonwealth Writers' Prize, and was the winner of the Orange Prize "Best of the Best". In 2009 it was made into an award-winning BBC television drama. After Small Island came The Long Song (2010), which was shortlisted for the Booker Prize and won the Walter Scott Prize, and then a collection, Six Stories and an Essay (2014). Widely regarded as the first black British author to achieve both critical and mainstream commercial success, and as a trailblazer for a younger generation of writers, Andrea contributed recently to the dialogue on the anniversary of the arrival of the Empire Windrush in the UK. Shortly before Christmas, The Long Song screened on BBC1 as a major three-part television drama (heralded by actor Lenny Henry as part of a "moment of change" in the film and television industry) and Alan Yentob's Imagine documentary aired at the same time. This year, the National Theatre are producing an adaptation of Small Island for the stage. All of Andrea's books have recently been reissued under Headline's Tinder Press imprint. Andrea's long-time editor and publisher of Small Island, Jane Morpeth, said: "I was incredibly honoured to be Andrea's publisher and to call her my friend. As her editor for Small Island, The Long Song and Six Stories and an Essay, I was so proud to watch her win prizes, be read by millions of people and reshape the literary world around her. Her legacy is unique, and her voice will be heard for generations to come. I miss her." 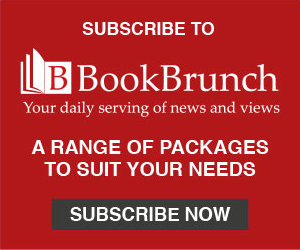 Mari Evans, Headline md, said: "Andrea Levy's extraordinary writing is woven into the fabric of Headline's publishing history and will continue to infuse the spirit of our future publishing. Her novels have perhaps never been more relevant or important in their questioning of identity and belonging. May we continue to learn the lessons so elegantly laid out by one of the greatest novelists of her generation. Our thoughts are with Andrea's husband, Bill, and her family."